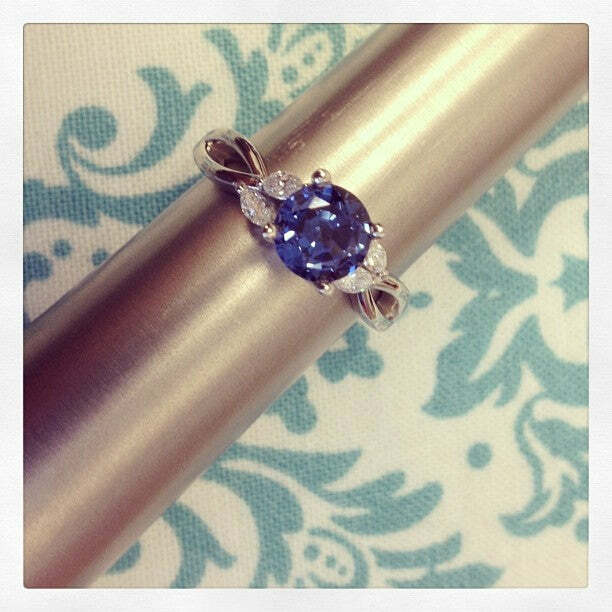 One of the best things about our company is our ability to provide custom modifications to our jewelry to make the perfect ring for our clients. Many shoppers go to a site thinking that they can only get a product exactly as it appears, but it isn’t so. It can be really easy to make a custom engagement ring that won’t necessarily cost any more than the original piece especially if all you want is a different stone other than a diamond. So let your imagination run wild, have fun, and go for that dream ring. As a part of the web content department, I’m always looking at images for products that will go up on the site and making them web ready. Sometimes I assist with creating mock ups of products we want to try to manufacture and because of that, I even dream a bit about some of the different combination possibilities. 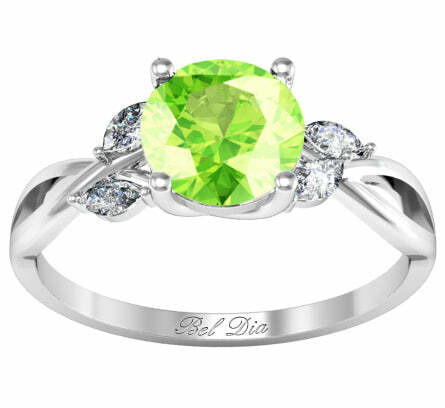 Our readers might remember this image from the post about peridot jewelry for Leos, but it is a custom imagining using one of my favorite styles on the site. On that note, I also really like our rose gold and morganite rings, so why not that combination as well? Here’s a little mock up with the rose gold version of that ring set with a beautiful pink morganite stone. The sky is really the limit with what you can do. If a design isn’t exactly the way you want it, we can work with you to make it perfect. Just call or e-mail us for a consultation with our jewelry design specialist and we can go over the design of your dream jewelry and provide you with a quote on your custom engagement ring.